MANILA: Malaysian Prime Minister Mahathir Mohamad on Thursday warned the Philippines against letting in foreigners who could “disturb” the country’s domestic political stability, as President Rodrigo Duterte’s Beijing pivot sparks an influx of Chinese workers, reports AFP. At least 200,000 Chinese have flocked to Manila since Duterte’s 2016 election, many of them employed by online gaming firms that cater to Chinese players, a Philippine Senate inquiry was told late last year. Some Filipino politicians have alleged this drives up property prices, takes away jobs from locals and even affects tax revenues. Mahathir, who has suspended several of his nation’s major projects with China, warned during an official visit to the Philippines against allowing a surge of foreigners. 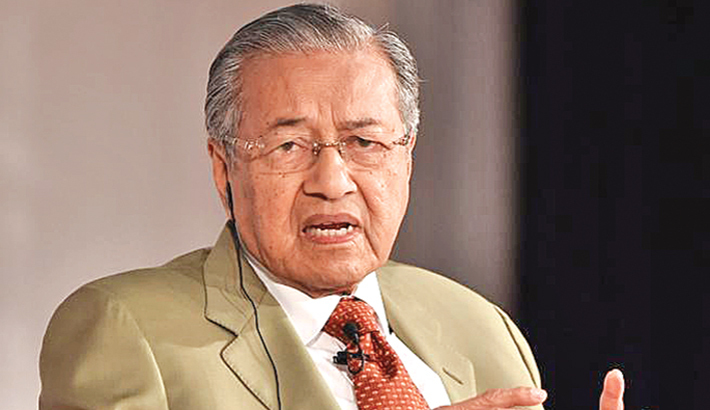 “Foreign direct investment should not involve bringing huge numbers of foreigners to live in the country, because that might disturb the political equations in the country,” Mahathir told ABS-CBN television in an interview.